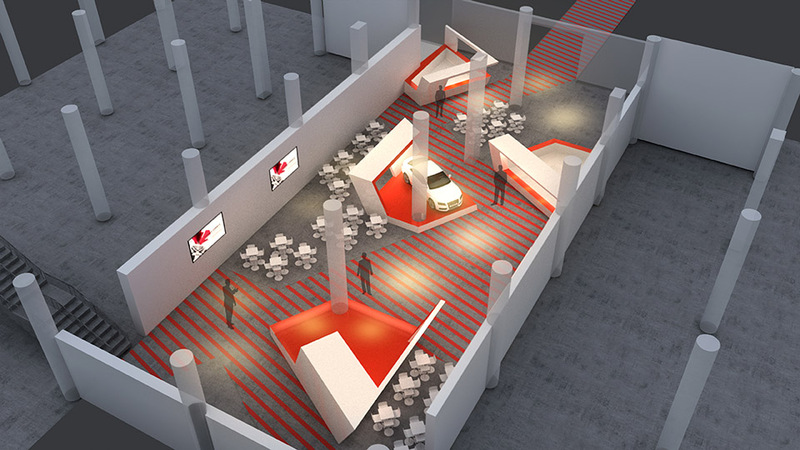 On behalf of Munich One Live Communications, Urbanlogic were asked to conceive the architectural design for two components: 1. an event stage for the show on the day of the event, on which the latest Audi racing models were to be presented, and 2. a cocktail lounge and reception area. As the project team faced the challenge that the race track could not be built on, it decided to locate the stage on the other hand of the track, facing the main grandstand, which was made use of as the seating area, thus maximising the use of the existing spaces on the site. The stage design is inspired by the dynamic form of the Audi R8 cars as well as by the corporate architecture of Audi, featuring the typical slanted lines in elevation. 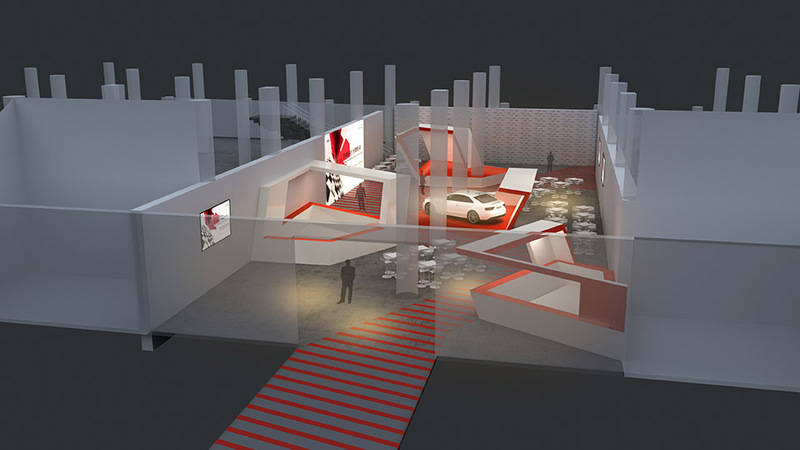 From the two ramps via which the cars are driven onto and off the stage, a continuous loop forms an enclosed space, providing a frame to the stage and the new car models that are to be launched. The corporate feature of slanted lines is taken up in the design of the cocktail area, in which a reception and the after-show party is to be hosted. 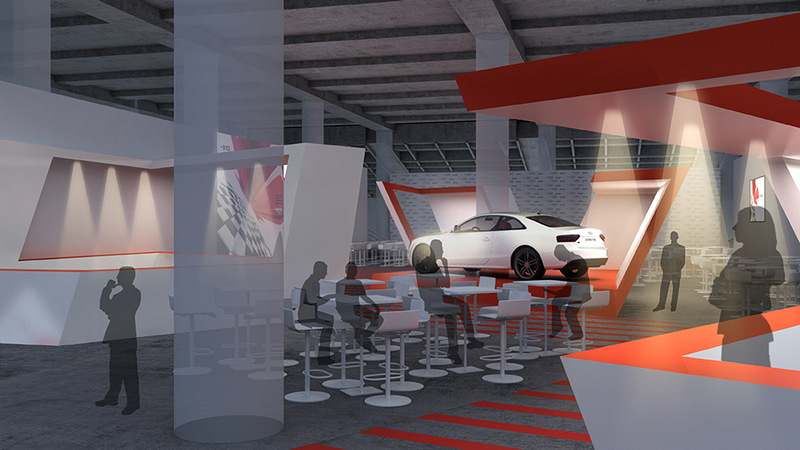 Four conceptually similar booths accommodate the various services that are needed to entertain the audience- a reception/info desk, a cocktail bar, a plinth for the feature car presentation, and a stage for the presenter and the DJ, all surrounded and tied together by a dynamically shaped open-plan space that can be used as dance floor and lounge area alike.